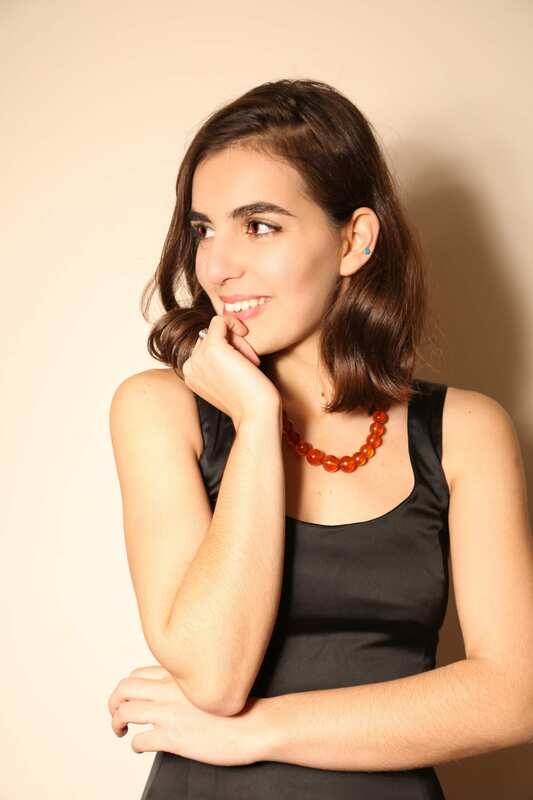 Angelina – Ellada Pavlou is a pianist and teacher based in London. 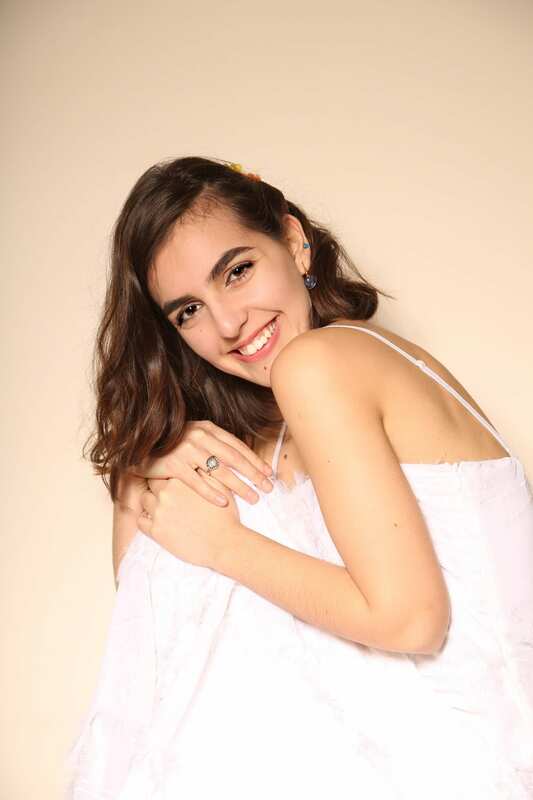 She is a recipient of the Stavros Niarchos Foundation Scholarship for the 4thyear of her studies in Trinity Laban Conservatoire of Music and Dance, under the guidance of Gabriele Baldocci and Katya Lebedeva. 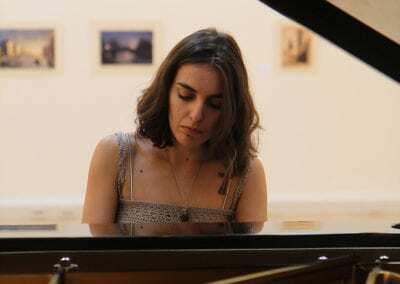 Born in Xanthi, Greece she started piano lessons at the age of five. 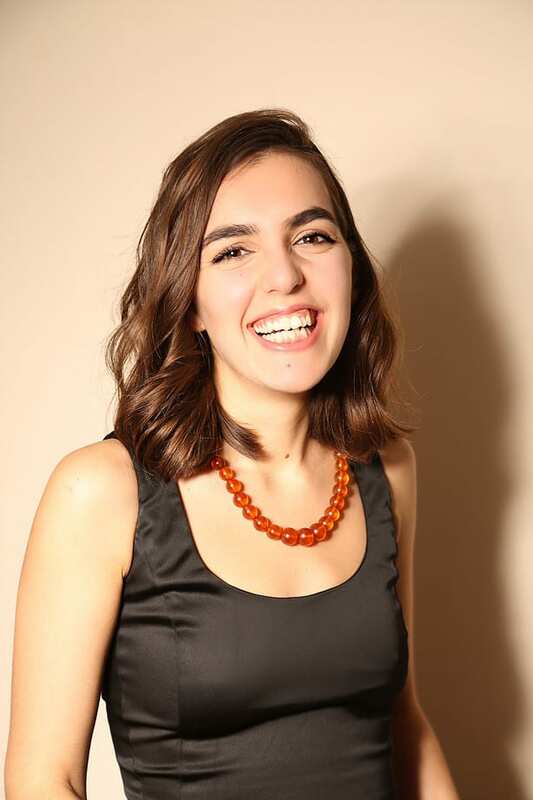 While in Greece, she studied with Giannoula Papazoglou and Professor George-Julius Papadopoulos. 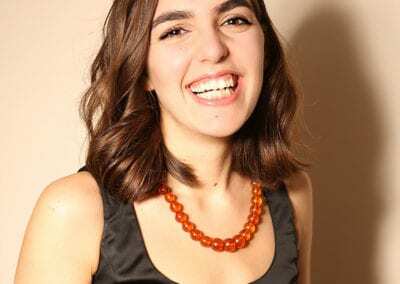 She has participated in master classes with pianists such as Giorgia Alessandra Brustia, Nikolai Demidenko, Margaret Fingerhut, Leon McCawley, Murray McLachlan, Hamish Milne, Pascal Roge, Jerome Rose, Martino Tirimo and Vassilis Varvaressos. 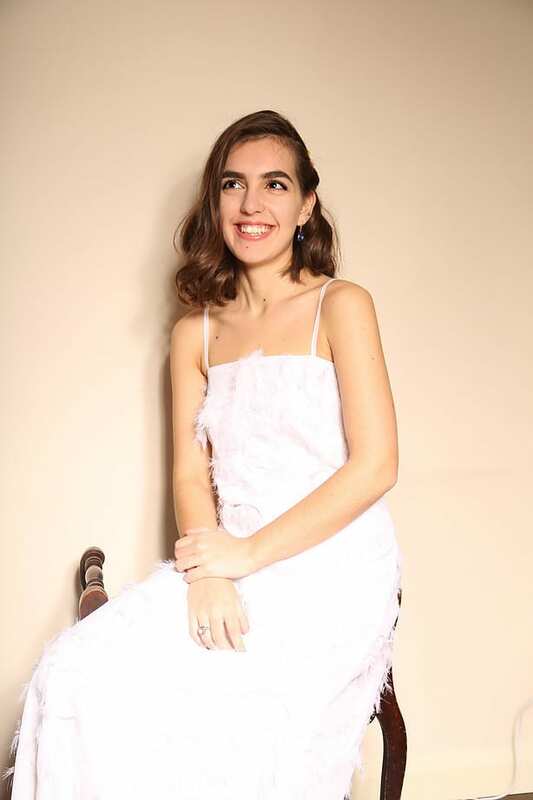 She has won prizes in several piano competitions including 1stprize and a scholarship at Kozani International Music Festival 2014, 2ndprize ath the 4thPan-Hellenic Competition Maria Cherogiorgou-Sigara 2012 which took place in the Athens Concert Hall. 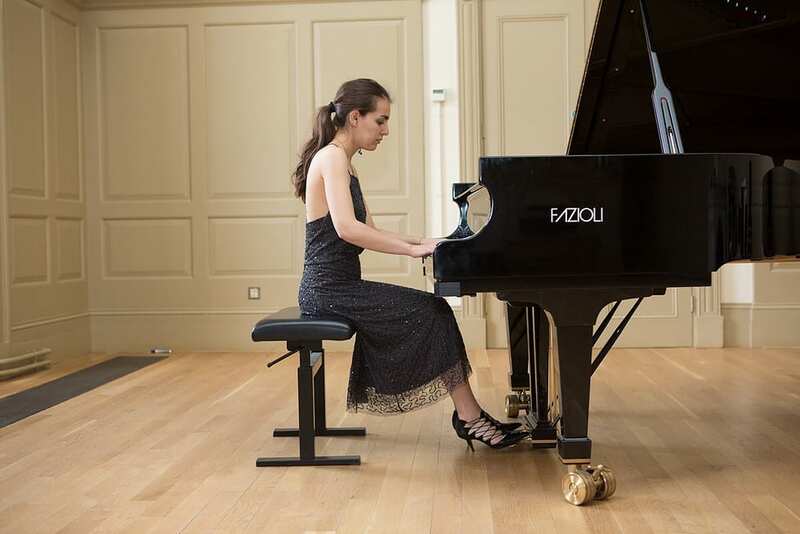 In the UK, she was a finalist in the 2017 John Longmire Beethoven Piano Competition. During the last years Ellada has performed, inter alia, in the ‘Musical Odyssey,’ Nafplio-Greece (July 2018) and in Manos Hadjidakis’ house, in his (and Ellada’s) hometown (July 2017); the “Giovani in Musica” Festival in Grosseto, Italy (March 2019); . In the U.K. she performed in various venues including the Old Royal Naval College Chapel, Greenwich in London, the Jacqueline du Pre Music Building in Oxford, and Royal Academy of Arts in the frame of the Oceania exhibition (November 2018). 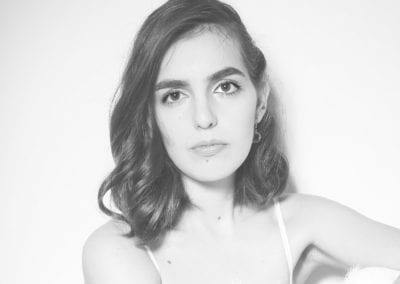 Her interest in contemporary music led her to participate in Trinity Laban’s 2018 New Lights Piano Festival which hosted Michael Finnissy (new one 2019). The festival is dedicated to contemporary music. In February 2019, she performed at Tate Modern Museum as part of a collaborative project between musicians, dancers and architects. She has also participated in the anniversary Debussy Festival at Trinity Laban (March-May 2018). 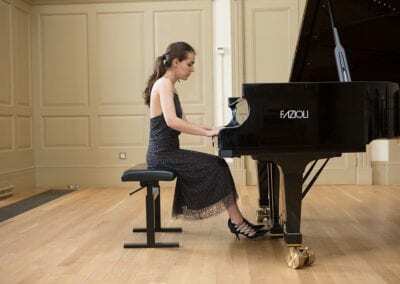 In March 2019, she will perform at the Trinity Laban Brahms Festival in London. One of her future engagements will be in the Concerti di Tempietto Festival in Rome, the upcoming August. 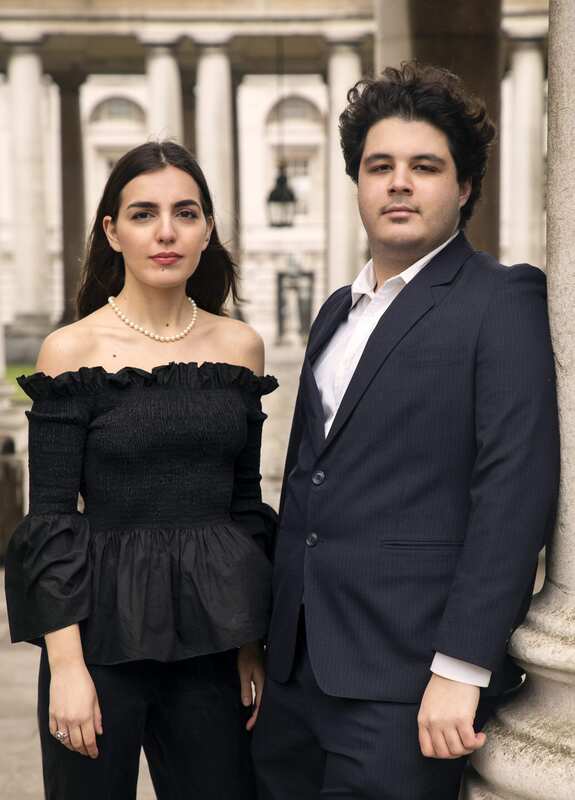 Ellada has formed with Christos Fountos the piano duo ‘Duo Dithyrambico’ with which they perform regularly perform in the U.K at places such as the Polish Heart Club in London (June 2018), featuring works by Ravel, Mozart, Poulenc and several transcriptions. Their most recent performance was in the Hellenic Centre, London where they performed the groundbreaking ballet Rite of Spring and Christos’s own transcriptions. Her teaching experience also includes teaching theory of music, while she has been administrative consultant in International Summer Schools of Greek language and culture, organised by the Non-Governmental Organization “Thrace Treasury”. 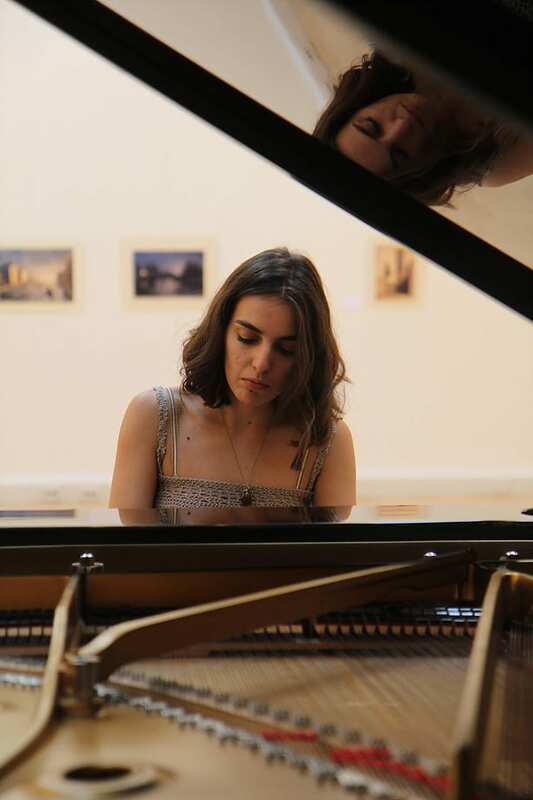 Ellada has been offered a scholarship to continue with master studies at the Royal Northern College of Music, with Murray McLachlan from September 2019. Christos Fountos and Angelina Pavlou will perform the groundbreaking ballet Rite of Spring for four hands along Christos’s own transcriptions for four hands. 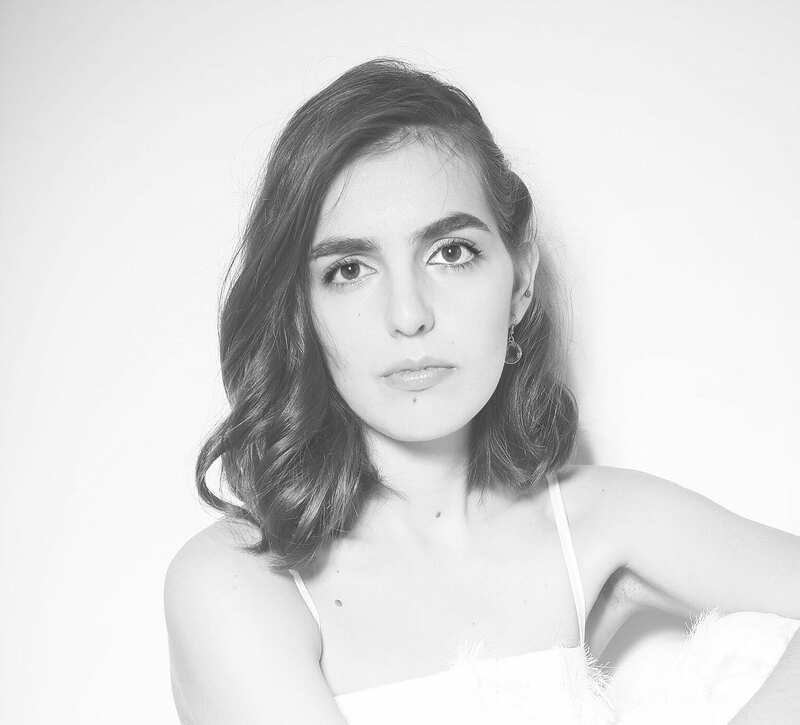 Christos Fountos and Angelina Pavlou will perform the trailblazing ballet Rite of Spring for four hands along Christos’s own transcriptions for four hands. Evening concert in Grosseto, Italy including works by Stravinsky, Beethoven, Rachmaninov, Ravel and Berio. Duo Dithyrambico goes solo for an evening concert presenting a varied programme. Programme will include works by Rachmaninov, Beethoven, Ravel, Scarlatti, Scriabin and Schumann.